I’m not an ABC person – ABC stands for “Anything But Chardonnay”. As a predominantly red wine drinker, every now and then if I venture outside my comfort “red” zone, I don’t mind having a glass of Californian oaky Chardonnay. I do like the oaky and buttery taste which some people detest, and especially find that goes well with a bowl of Korean ramen with a slice of cheddar cheese and a runny egg. Liz Barret from "What’s in that Bottle? 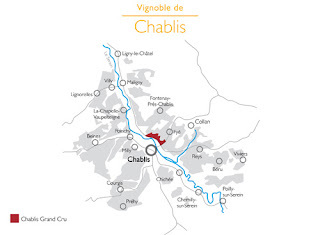 "invites the French winophiles to explore the many secrets of Chablis. It’s time to splurge on a bottle of very good white, which I typically don’t do, and most importantly, to experience Chardonnay that is far from anything that I have had tasted before. Chablis is a wine region in the northeastern most part of Burgundy. The cool climate of this region produces wine that has lesser sun exposure, sugar, fruit, but more acidity than Chardonnay wine grown in warmer climates. The northern and cool climate stunts the ripening of grapes and may cast nasty spring frosts that could be severe enough to destroy partial or the entire annual harvest. Mother Nature doesn’t always nurture! In terms of aging, Chablis is mostly fermented in steel tanks, unpretentiously revealing the minerality and acidity – totally unlike the oaky and big-flavor Chardonnay that’s quite typically made around the world. Of course, the highest level of Chablis classification, Grand Cru Chablis does use oak to style the wine and to create a different experience of Chablis – more savory, intense fruit, and richer mouth-feel…to name a few. The Appellation d'Origine Protégée system in Chablis divides the region into four classifications: Petit Chablis AOP, Chablis AOP, Chablis Premier Cru AOP and Chablis Grand Cru AOP. Grand Cru is the smallest and most exclusive subregions, following with Premier Cru, Petit Chablis, then Chablis. The price range averages from US$60 for Grand Cru to US$15 for Petit Chablis. I picked up a bottle of Jean-Claude Courtault Chablis 2015 from Wine Library, which happens to be Gary Vaynerchuk’s (i.e., Wine Library owner, also a social media personality) favorite white wine. While he likes to drink it at room temperate, I like mine well chilled to achieve the youthful energy, acidity, saline and nervy texture of this Chablis…to the core! Let’s have a sip of my Chablis. "Jean Claude Courtault Chablis 2015 smells distinctly briny on the nose, following with scents of green apple and oyster shell. The sips reveal the beautiful minerality, acidity and a hint of nuttiness, presenting a strikingly balanced texture - freshness and richness. The chalkiness and acidity drive a lingering finish that mingles with the food you are enjoying. It has aging potential until 2020." The winemaking journey of Jean-Claude Courtault is inspirational in the way that persistence and effort make a dream come true for someone who didn’t inherit the land in the French wine world. Jean-Claude and Marie-Chantal Courtault moved to Lignorelles which is northwest of the town of Chablis, from Touraine in the Loire Valley, in 1984, when Jean-Claude was hired to work as a manager at a local Chablis winery. Slowly but surely, he went above and beyond as a winery manager. He started his master plan to implement his vision into the vineyard and to craft honest and pure Chablis that he loved to drink as everyday pleasure. Eventually he purchased 42 acres of the vineyard, which has south/south-west facing slopes and contains mostly Kimmeridgien and a little Portlandian soils, from the previous vineyard owner. The duo soil profiles help Jean Claude Courtault to make both Chablis and Petit Chablis. His approach is to capture the best of Chardonnay in its bare existence with no exotic frills, straightly vinified and aged in temperature-controlled steel tanks. 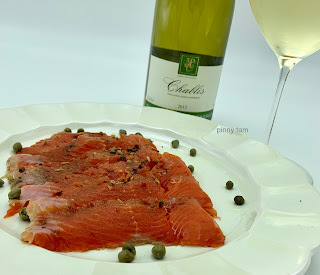 When I try to match a dish to the briny, minerality and chalky notes in this Chablis I picked, I’m thinking of salmon. However, the texture I go after needs to be denser than a piece of flaky cooked salmon in order to play out the substantial texture of this wine. My first ever attempt to cure salmon is in my plan! Descale the whole filet thoroughly, rinse under water, pat dry, and put it in a rectangular Pyrex dish. 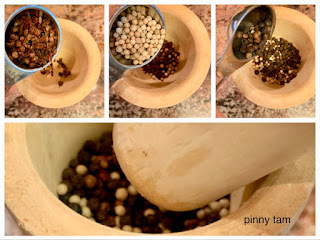 Combine all the peppercorns and the fennel seed in a mortar and crush them with a pestle. If you don’t have a mortar, put the peppercorns in a ziplock bag and crush them using the bottom of a heavy frying pan. Combine the spices from the mortar with salt and sugar in a mixing bowl. Rub 1/3 of the mixed spices onto the skin and put the skin side down back to the Pyrex dish, and rub the rest of the mixed spices on the top facing side of the filet. Make sure run-away peppercorns are put back in contact with the filet. Seal the entire Pyrex dish with plastic wrap. 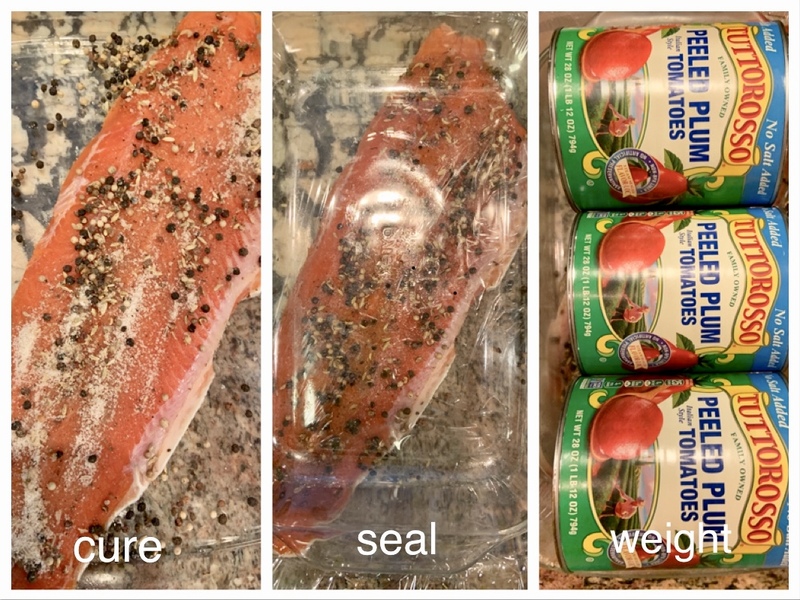 Sealing it is important as you don’t want any odor from the fridge seeping into the salmon, and of course vice versa. Lay another smaller dish so that it can firmly press down onto the salmon. Add canned food as weights to the top dish. 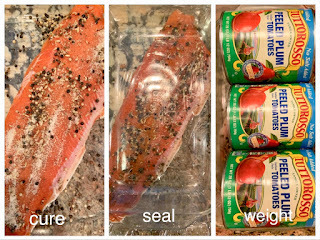 Cure the salmon inside the fridge between two and three days. When done, discard all the peppercorns and seeds from the fish. Pat dry the salmon with a paper towel, removing the little residual fluid from the fish. Use a very sharp knife and cut thin slices of salmon to the typical thickness of lox by simply angling the blade at a 45 degree cut. The key trick is to pin down the salmon with a paper towel so you can filet as close to the skin as possible. The anticipation for this cured salmon is real as I have no idea how it would turn out. Also is that “cured” enough to kill all the bacteria of the raw fish or is it under “cured” to kill me? Let’s set aside the fear and eat the fish. 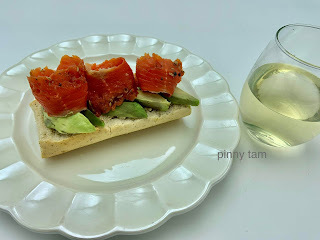 To showcase the Sichuan peppercorn cured salmon, I think of three ways: by itself, on dark rye bagel squares and farmer cheese, and on whole grain Italian bread and avocado. By itself: I simply cut up a few slices of the salmon and sprinkle some capers to add a bit more salty taste. I intentionally undersalt the fish a bit so the capers help out in the end. Between the cured salmon and the Chablis, it’s an elegant pair that promises to please your taste buds – the briny Chablis is in tone with the mildly salty salmon, and the acidity of the wine brightens the creamy texture of the salmon! On dark rye bagel squares: I toasted the dark rye bagel squares (i.e., cut a square peg out of a ground bagel😉) and smudged a layer of farmer cheese on top before layering pieces of salmon on it. A word on the farmer cheese…it has the neutral and crumbly texture that doesn’t interfere the taste of the salmon but is there to be the soft diary cushion that goes between the bagel and the salmon. I also cut up some home-made Sichuan peppercorn and garlic pickled onion to make it more fun. On whole grain Italian bread: I used a baguette-shaped whole grain Italian bread and haloed the center of the bread so the avocado and salmon slices can stay put inside. Does avocado go well with FISH? Yes, it certainly does as the salmon has no unpleasant fishy smell or taste– in fact, fresh fish hardly has bad fishy smell and taste! The chalkiness, minerality and a tad of nuttiness of this Chablis is a no brainer to this fresh yet creamy sandwich. The layering of tastes just works. Well, it has been two days after I ate all the salmon slices…no stomach or food poisoning issues. Another successful experiment on curing fish! 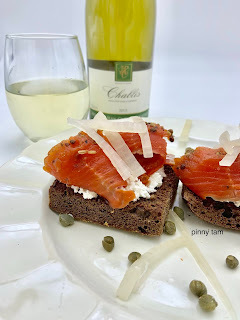 Check out other #winophiles' Chablis blogs! 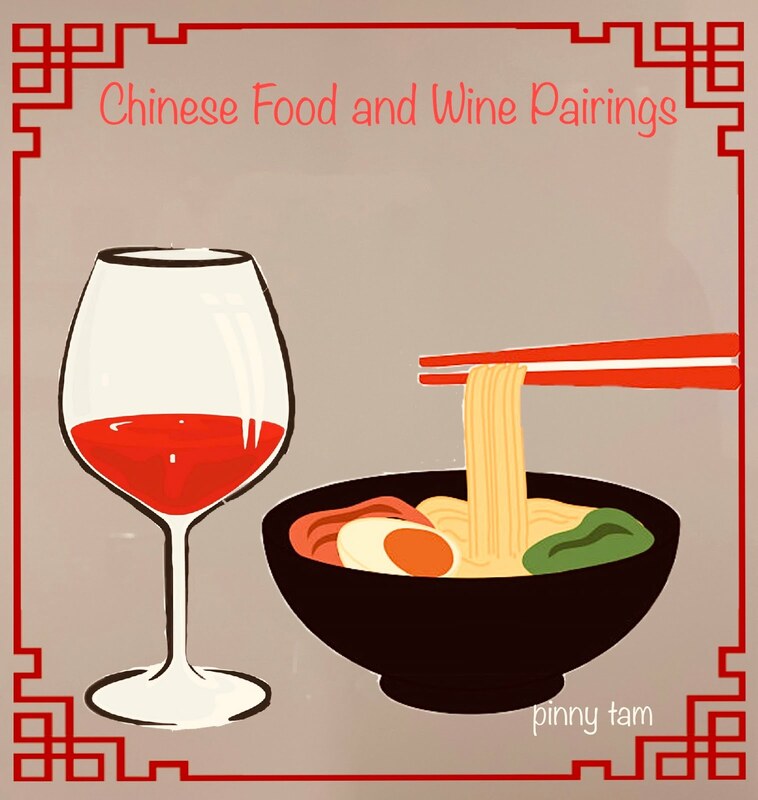 Pinny at Chinese Food & Wine Pairings writes about An Elegant Pair: Jean ClaudeCourtault Chablis and Sichuan Peppercorn-Cured Salmon. Nicole at Somm’s Table writes about Domaine Savary Chablis Vieilles Vignes with Scallops and Brussels SproutsTwo Ways. The popularity of biodynamic, organic, vegan and natural wines is seen everywhere, from shelf space in wine stores to major wine trades. 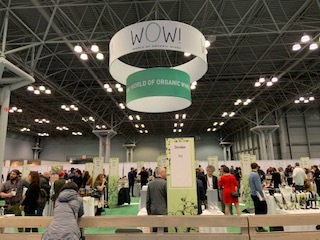 As almost a quarter of the exhibition hall at the recent VinExpo New York, where wine producers from all over the world brought forward their best wines, was dedicated to producers of biodynamic, organic and vegan wines, the trend to drink “healthier” wines is a phenomenon that probably won’t stop in the near future. Biodynamic and organic wine producers see their terroir-driven wines from their certified “green” land, not only a way to optimize their profit margins, but also a major environmental commitment that they will pass down to next generations. People’s pursuit of consuming foods and drinks in their most natural forms does propel and transform the food and beverage industry. In January, the French winophiles had a chance to dive deep into French biodynamic wines. 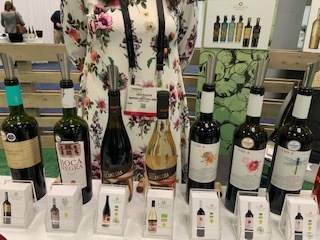 Today, we have another opportunity to explore biodynamic wines from all over the world per Wine Predator, Gwen’s invite. I’ll look into why a wine lover should level up in choosing “healthier” wines – biodynamic, organic, vegan and/or natural as well as holistically do “something extra” to sustain health and prevent the side effects that come along with the love of drinking wine – a game plan in the making! What Do These Healthier Wines Mean, Exactly? 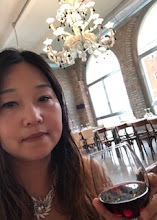 As seen in my January blog, "Detox with Organic French Wine and Cantonese Light Flair", Dr. Vinny from the Wine Spectator has defined, in layman’s term, what organic and biodynamic farming with a focus on wine is. Vegan: Wine is made from processes that do not allow animal-derived products that are introduced during fining (i.e., speeding up the process of removing sediments in wine by adding processing aids to bind and remove the unwanted substances). These processing aids are eventually filtered out from the wine and are not required to be noted in the wine label. Vegan farming may go beyond the wine-making process and attempts to eliminate animal products (e.g,, bone meal and fish emulsion) that may be inadvertently found in the vineyards. Natural: Biodynamic, organic or sustainable farming practices are used in the vineyards and wineries, ensuring the entire cycle of wine producing, from soil management, growing the grapes through harvest to the wine making process, is subject to little-to-no chemical or technological manipulations. Also, the approach deployed is as hands-off as possible, distinguishing natural wines from organic and biodynamic and vegan practices. Since the goal of natural wines is to let nature craft the wines without labor-intensive techniques including sorting grapes, grape-crushing and basket-pressing, natural wines are often made in much smaller quantities with unpredictable yields. Unlike attaining organic and biodynamic certification to assure the practice, standards and compliance with the laws, there is no such certification in natural wines. The labels are worth a thousand words! "Fidora Moscato Spumante Brut is the flagship bubbly produced at Tenuta Civranetta, the family estate. Pouring out from the 🍾dark mysterious bottle is the light straw yellow color bubbly that opens up its bouquet as you swirl. The moscato grape instantaneously releases the aromas of intense 🍊white orange tree flowers and hints of citrus and 🌿sage. On the palate, the light-touch sweet, showcases fruit and floral notes, and yet balances between minerals and acidity. It’s a bubbly that embraces freshness and elegance." Let’s take a closer look at how a wine producer slowly but surely migrates from organic to biodynamic farming. I attended one of Wine Library’s Wine Talk Series back in February and met Angela Deluca, who is the New Jersey Regional Sales Representative from Martine’s Wines, one of the major French wine importers/wholesalers in the US - doing this trade since 1979. Through her guided tasting, I learned and experienced the exceptional taste of a few Domaine Santa Duc wines that were featured for the night. 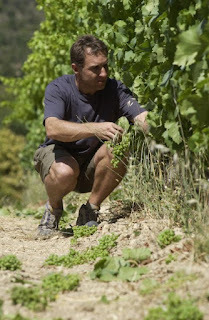 Domaine Santa Duc is one of the pioneer organic wine producers in Gigondas, southern Rhône. "🍷Santa Duc Vacqueyras Les Aubes 2016 is a biodynamic powerhouse 💪that has scent of rock salt, nori seaweed on the nose. As it opens up, the wet leaves 🍃and cedar box notes channel through. The initial masculine and intense palate is characterized by black fruit, tobacco, smokiness, leather, which is then softened as the wine aerates - snap of red fruit and toast presented. The long finish leaves endnote of stewed fruit. A memorable wine that showcases multiple layers of flavors throughout the enjoyment! " It is probable to evaluate the “level of care is evident in the glass” through a relatively personal and subjective tasting experience. 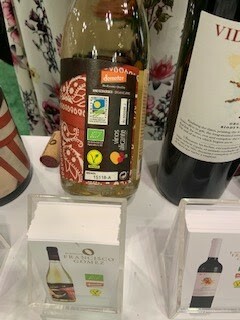 What is even more measurable is the effort these biodynamic, organic, vegan wine producers put in the growing and wine-making cycles to eliminate herbicides and added processing aids (e.g., sulfites) as much as they could or entirely so that they can continue to have the proud stamps like ‘dementer’, biodynamic’ on their bottles. Needless to say, the process to retain the certification and to comply with the laws is rigorous, often through disciplines and audits by the governing agents. Consumers, particularly the ones who may be sensitive to these added substances, can benefit tremendously from these wines – health-wise or peace of mind! Of course, a true taste of the terroir, in lieu of tasting wines that have been subject to a lot of manual manipulations and are masked by overwhelmingly big oak and big tastes, is so in! Does drinking these healthier wines eradicate risks that are associated with drinking? The answer is no…unless your wines have no alcohol. By the end of the day, alcohol consumption inherently poses some health risks. Saying the obvious, drinking excessively and alcoholism may come with costly health consequences. However, depending on who you are, responsible drinking or enjoying wines in moderation may still bring along some health risks or side effects. To me, enjoying a glass of wine is not without a challenge, as personally, I must deal with the effects of “Asian Flush”. I also know some of my drinking friends experience headaches on a regular basis while drinking wines, not to mention the occasional hangovers after a night of heavy drinking. What steps can we proactively take to drink well? Asian Flush or “Asian Glow”: it is a syndrome that a person gets a “red face” after drinking alcoholic beverages. As the name of this syndrome indicates, certain Asian populations are receptive to this syndrome due to an inherited deficiency in one of the enzymes that is involved in the breakdown of alcohol: aldehyde dehydrogenase. Without this working enzyme, alcohol-induced toxins will build up in the body to the level that damage DNA. Sufferers of Asian Flush may also have higher risks of esophageal cancer. More than one in three people with East Asian heritage (Chinese, Japanese and Korean) have this syndrome. Sulfites-induced Headache, Really? : Although added sulfites may not be a good thing through the lens of organic farming, sulfites, whether it is naturally produced during fermentation or is added, DO NOT cause headache. This wine myth has been totally busted by so many researches. The culprit of wine-induced headache lies with the tannins and other flavonoids in wines, which explains why drinking red wines seems to cause more headaches than white for some individuals. Among reds, the highly tannic grapes like Tannat, Cabernet Sauvignon, some Bordeaux and Syrah from South America become tricky to people who are susceptive to this type of headache. What else could a wine lover do to sustain health and minimize wine related side effects? Well, I do a few things to make my wine-drinking lifestyle a bit healthier. 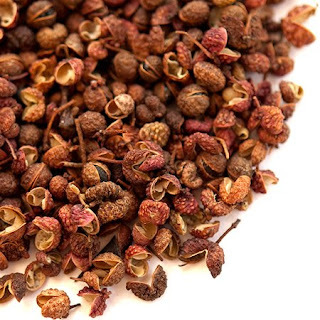 · Prior to drinking, I take Pepcid AC to help deal with the physical symptoms of Asian Flush such as red face and sometimes nausea, which blocks histamines to prevent flushing brought on by alcohol consumption. However, Pepcid AC is only a cosmetic fix to reduce an embarrassing red face, by no means it can help break down the consumed alcohol. 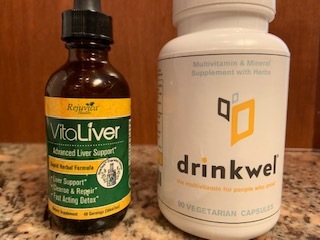 · So, after drinking, I turn to a supplement called DrinkWel, which is a natural multivitamin that helps replenish nutrients, support liver health and help the body process alcohol-induced toxins after drinking – in short, these pills help prevent hangovers. While not everyone will experience the claimed benefits the same way, to me, after taking this product, I do feel great the next day! · On a daily basis, I take Rejuvica Health's VitaLiver which is an herb-based syrup that seems to help support, cleanse and repair my liver as I feel less sluggish. Taking so many pills for the enjoyment of a glass wine…call me crazy! Let's Look At Our #WinePW Bloggers's Biodynamic Journey!